Reliance Communications introduces Reliance Job Search on Voice – a first-of-its-kind voice enabled job search services for its customers. ‘Reliance Job Search on Voice’ service is a real-time connection between the recruiter and the candidates and is initiated by playing the phone number of the employer to the job seeker which enables the job seeker to listen to the job announcements and the recruiter can listen to profiles of hundreds of candidates that matches his requirement. With this process, Job seekers in the Formal Segment (IT, BPO, Banking, and Manufacturing etc) can submit their job profile and browse through hundreds of matching jobs (from Naukri, Monster, Click Jobs etc) and select suitable jobs to apply for. 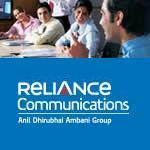 The Reliance Job search on Voice service will then provide Job seekers with details of the selected job via SMS. The job seekers under this segment will also be to fill up their job profiles and can browse through all the listings (from Babajob, Newspapers etc) which will help them select suitable jobs, for which, the phone number of the employer will be played to the user. In the case of User generated content (job announcements) from recruiters, job seekers can select suitable jobs and the MSISDN (Mobile Station Integrated Services Digital Network) of the seeker will be shared with the recruiter. Furthermore, Informal Segment recruiters looking to hire a domestic help (Cook, Maid, Driver, Nanny etc) will be required to create a profile by mentioning job categories, location and salary. Users can listen to profiles of hundreds of candidates that match the requirement. MSISDN of these potential job seekers will be shared with the recruiter and will enable them to contact the seekers. Reliance Mobile customers can avail these services by Dialing 58010 to subscribe. The subscription charges are Rs.30/30 days (auto-renewal) with fallback options of Rs.20/20 days and Rs.10/10 days. There are no browsing charges and acquisition and renewal grace period is 3 days. A Formal Segment Job seeker can also be an Informal Segment Job Poster and vice versa at no additional cost. Uninor Promotes Its Unlimited Music Campaign In Style!